Texas is quickly emerging as a top destination for retirees. Peaches or brisket? Lush landscapes or vast desert? The lure of European architecture or the folklore of the American cowboy? In other words, would you rather retire in Georgia or retire in Texas? Although Florida usually comes to mind as the premier retirement destination, other southern states are becoming known for those entering their golden years. Texas and Georgia, two of the other popular retirement destinations in the south, have their own unique experiences to offer active adults and retirees. We take a look at these two sometimes overlooked retiree destinations to see what each offers. Texas is one of the largest states in the country and has a variable climate. The climate in Texas ranges from arid to humid, with some areas experiencing several inches of snow annually while the thought of snow in the southern part of the state is unfathomable. In general, the Northern Plains and Trans Pecos regions have a semi-arid and temperate climate and are subject to the winter freezes that occur throughout the rest of the Midwest region. Both of these regions experience snowfall annually, although it’s more rare in the Trans Pecos Region. The Texas Hill Country, in the middle of the state, is defined by the many rivers and hills that cut through the area, and has hot summers and cooler, yet comfortable winters. The eastern part of Texas that reaches the Gulf of Mexico defies the state’s desert reputation, experiencing humidity more in line with the rest of the southern states. South Texas has the vast stretches of desert land that Texas is known for with hot summers and cooler nights and winters. Georgia, being a smaller state, has a more consistent climate statewide than its southern brethren. Georgia’s climate is typically considered to be humid subtropical. Typical of southeastern states, Georgia’s low-lying areas are mostly swamps, giving it a humid climate with mild winters and long, hot summers. The pleasant fall and spring seasons are a huge draw for Georgia retirees, where the highs are typically in the 60s to 80s. Texas has a cost of living slightly below that of the rest of the country. As is the general rule, the cost of living rises the closer one gets to the city, although the major cities in Texas (Houston, Dallas, Austin) are still considerably cheaper than other major cities in the U.S. and are consistently rated as top cities where a paycheck stretches the furthest (Houston is typically in the top three). Texas is also one of just seven states that does not tax income, retirement or otherwise. The Tax Foundation ranked Texas as the having the fifth lowest tax burden of all 50 states. For homeowners aged 65 and better, the first $10,000 of the property’s assessed value is exempt from school taxes, an additional $3,000 is exempt from other local taxes, and this is on top of the additional $15,000 homestead exemption. Cost of living in Georgia enjoys a similar reputation. Overall cost of living is slightly below that of the rest of the United States, with housing being particularly less expensive than elsewhere in the country. Residents enjoy one of the lowest tax rates as well as tax-free social security income and exemptions from pensions and annuities. Even though the cost of living might not be a steal like it is in Texas, snowbirds fleeing the costly northeast or California will find much relief for their wallet in the south. Georgia offers diverse opportunities for recreation, perfect for active adults. Climates in both states allow for year-round outdoor activities. Georgia has 48 state parks, including a portion of the famous Appalachian National Scenic Trail and the Chattahoochee River National Recreation Area. Texas has over 50 state parks including the Limestone Ledge Trail where hikers can walk around dinosaur footprints on the beach. Texas and Georgia also offer unparalleled opportunities for camping, biking, birdwatching, and boating. Georgia boasts large cities that mix Old World charm with modern urban living. Atlanta, Georgia’s capital, has an incredible cultural scene that includes the Alliance Theater, boutique shopping in Buckhead Atlanta, the Atlanta History Center, and Chastain Park Amphitheater. 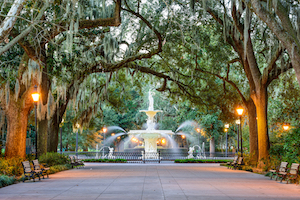 Savannah is one of the country’s hidden gems, eliciting romantic images of the American South as a place of overgrown greenery, stately mansions, and European-inspired architecture. Texas has a diverse set of cities that dwarf the size of the cities in Georgia. Houston and Dallas are sprawling city centers that attract tourists from all around the world thanks to their renowned museums, restaurants, and massive sports stadiums, giving credence to the maxim that “everything is bigger in Texas.” Austin and San Antonio offer their own unique brand of city living, both being bisected by rivers. 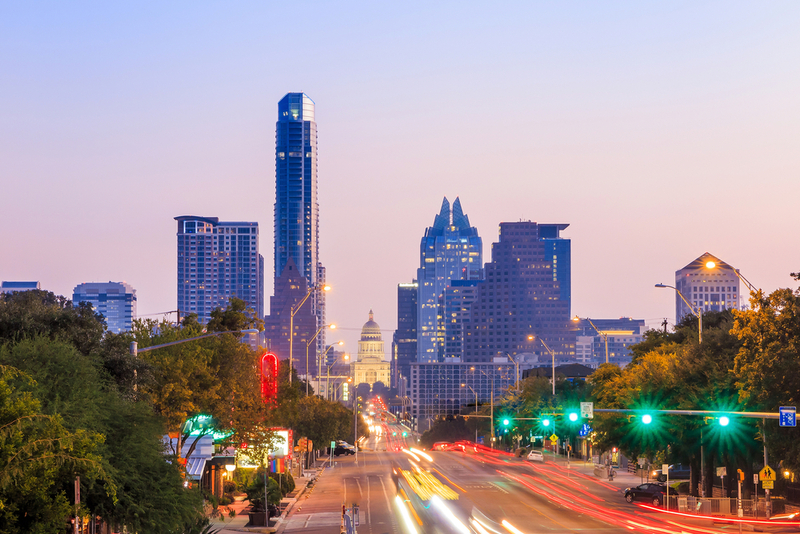 Austin has a thriving cultural scene while San Antonio’s famed River Walk is one of the most iconic areas in the region. The two states also differ in terms of cuisine. Georgia skews towards traditional Southern fare, especially seafood and corn on the cob, while Texas is known for its unique brand of barbecue (using primarily beef instead of pork, with a side of Texas toast) and Tex-Mex, traditional Mexican cuisine prepared with American tastes and cooking techniques. When it comes to active adult communities in Texas and Georgia, it’s neck and neck. Both states have over 30 active adult communities and have attracted some of the most high profile 55+ developers in the country. Del Webb has Sun City Peachtree outside of Atlanta, while Sun City Texas is one of the largest active adult communities in the south. Both states also have 55+ neighborhoods that are more intimate in size and those that are grand on amenities. Retirees locating to either state will have easy access to major urban centers as well, with active adult communities outside Atlanta, Houston, Savannah, and Austin.